Delivery is Just A Click Away. FOR ORDER IN JAKARTA CITY ONLY. Order Online Today! ​The restaurant has a reputation that sticks with old Minangkabau traditions which originally comes from West Sumatra and is purposely kept and properly maintained to attact not only Indonesia but foreign customers as well. 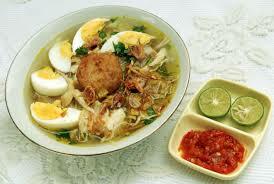 Sederhana Restaurant has hundreds of outlets spread throughout Indonesia and Malaysia. 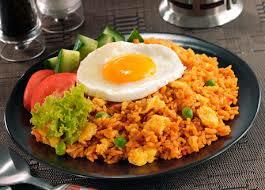 Padang cuisine delicacy could not be separated from pop chicken menu which gives unique flavor. We summarize the branchs phone number for your convenience in ordering simple food desert. 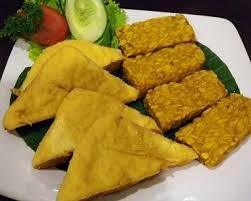 Various food we serve is typical Sundanese food such as various stir and vegetables. 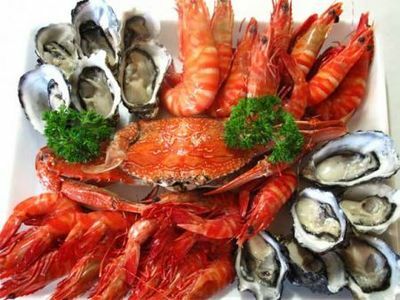 While the dishes that can be selected in the form of fried and grilled chicken, mas and gurame fish, beef offal, obese etc. The concept of food and beverage service to guests at Bumbu Desa is a service concept that is packaged in a modern and professional, clean, healthy, fast and friendly. Scroll Square Lapis Legit Rolls has taken the traditional cake into a new level, labourous than ever. Scroll brought to you Kue Lapis Legit in a practical roll shape and unique weaved textures. With recipe passed down from generation to generation, Scroll offers a more practical way to enjoy Kue Lapis Legit. Scroll is sold in form of a roll to make it easier for you to serve anytime, anywhere. Each roll of Scroll Square Lapis Legit Rolls is packaged in an exclusive hard board box, suitable for all occasions and celebrations such as Christmas, Lebaran, Chinese New Year, Birthday and Thank You Gifts. Specialty Product : Scroll Lapis Legit in Almond, Cheese, Chocolate, Green Tea, Mocca, Original and Moist Dried Prunes. Outlets : Kem Chicks Pacific Place Jl.Jend.Sudirman, Ranch Market Pondok Indah, The FoodHall Kelapa Gading LG Floor, The FoodHall Senayan City LG Floor. Bandung cake souvenir identic to Kartika Sari. If you go to Bandung, dont forget to stop by to Kartika Sari cos' every day, Kartika Sari is always visited by tourists from all over Archipelago and even from foreign tourists. Why Kartika Sari became a favorite choice by the visitors and customer? Kartika Sari product is delicious and the quality is maintained so it is suitable as cake souvenirs for family, friends, and colleagues. KartikaSari.com present to satisfy the loyal customer gift Bandung who miss the taste of Kartika Sari. Bandung Primarasa currently has five official outlets spread across the city of Bandung, at Jalan Kemuning (Primarasa Center today), Buah Batu, southern ring road map, Jalan Pasir Purwakarta and Kaliki. ​Friends of traveler's, you need to know, to maintain the quality of the best cakes are delicious, fresh, healthy and safe to eat, Primarasa implement the system Centralized Kitchen, where all production processes cake is done in one place, namely in Primarasa center in the Kemuning No. 20 Bandung. So the cake just need roasting in the store to go to, and so that the cake remains fresh in the store, delivery performed 5-10 times a day. Here the culinary lovers will be spoiled with menus Nusantara cuisine which is characteristic of Pondok Buah Kurma Resto is the Fish. The special dish that is served and enthused by many visitors of Pondok Buah Kurma Resto is the soup of snapper and capcay, where with unique flavor that is with dates, and using spices like garlic, ginger and onion and basil. 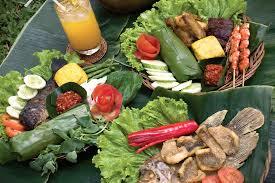 Equipped with a variety of sambal that can be selected from sambal kupang, onion sauce, and chili paste. 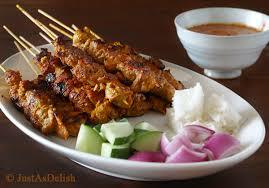 In addition, other special menus here are Gurameh Village and also Gurameh Bakar. Here is also complete Joglo House building very Jogja that can accommodate more than 50 people, and also already equipped with facilities Sound System and Free Wifi. Here also provides a wide range of other menus such as, catfish kremes, tilapia kremes, chicken kremes, various kinds of vegetables and also other domestic cuisines.